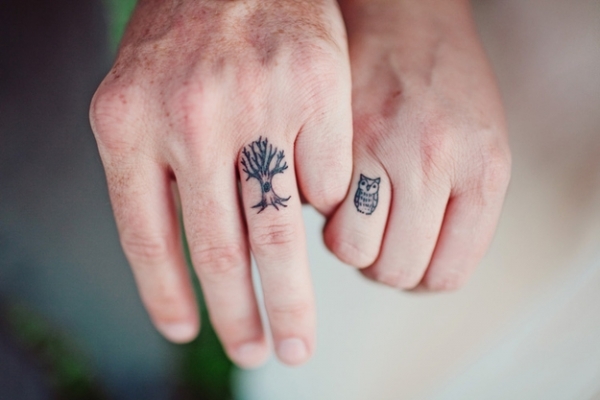 Matching couple tattoos for the bride and groom. So sweet! 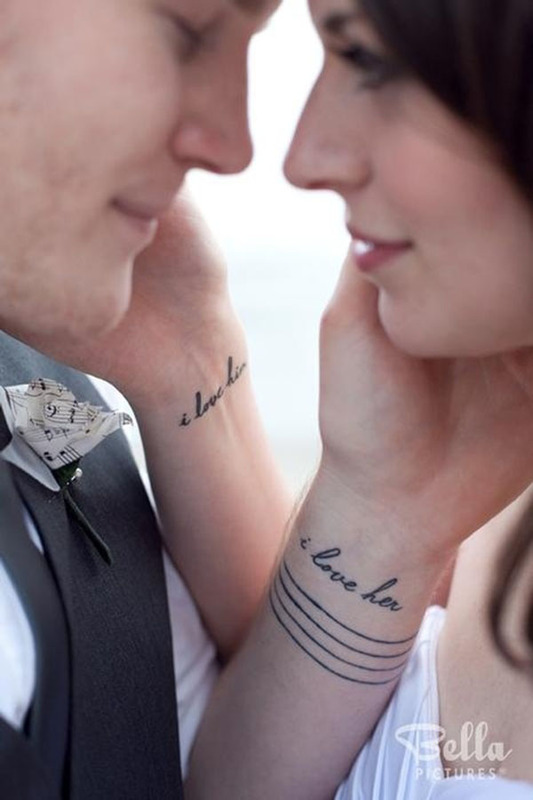 Would you get inked for your special someone? We all know that making taking the plunge with your significant other is the ultimate commitment -- after all, vowing to spend a lifetime together is a pretty big deal. But you know what else is a big deal (and maybe even a little more permanent)? Tattoos! Increasingly, I've seen couples get inked for the other person, or even coordinated together on matching tattoos to symbolize their love. I actually think this idea is kind of awesome, especially when couples get super creative and incorporate symbols or quotes that mean something personal and special to their relationship. 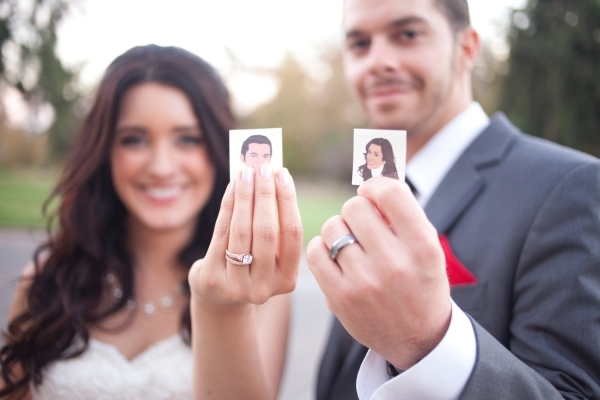 After all, if you're getting married, might as well go ahead and exchange ink after you've exchanged rings! So say you like the tattoo idea in theory...but aren't ready to execute on it in reality? 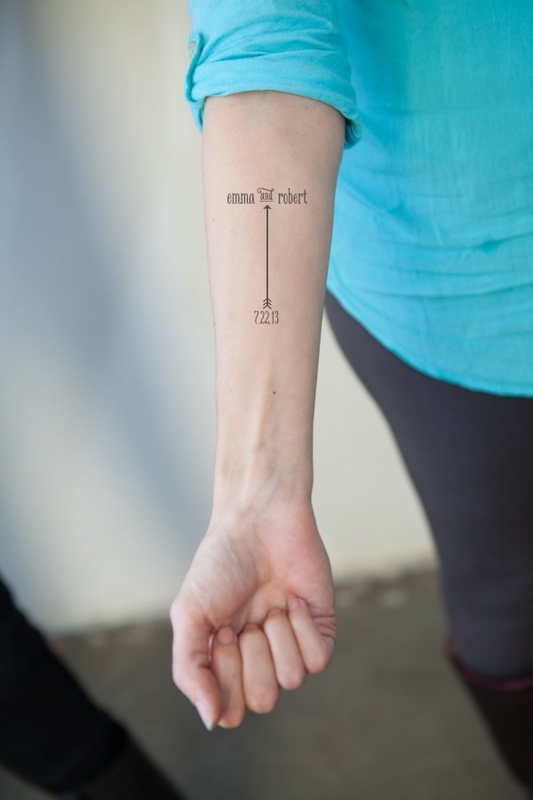 Well that's not a problem, because temporary tattoos are all the rage, and can be included in your big day as wedding favors or just fun things to entertain your guests with. 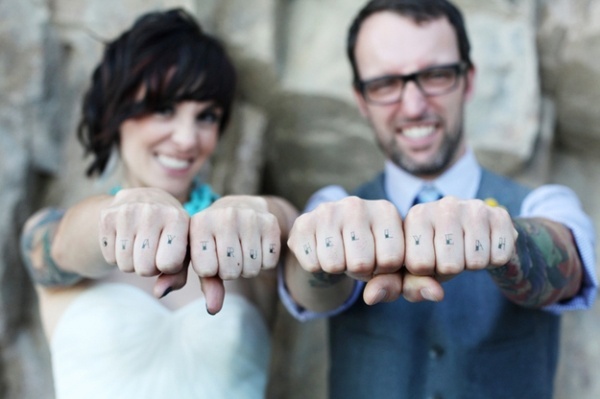 These temporary tattoos can literally be whatever you think would fit best at your wedding: from sweet symbols like ampersands and arrows, to custom wedding logos, or even portraits of your faces! 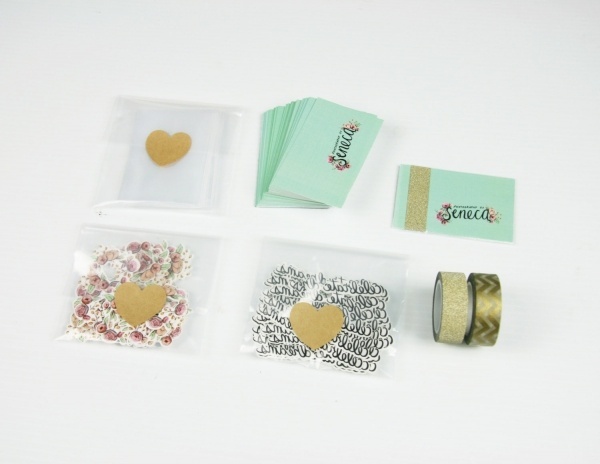 If you're loving this trend as much as we are, take a look at some of our favorite wedding temporary tattoo options and find out where you can get these little beauties for yourself! 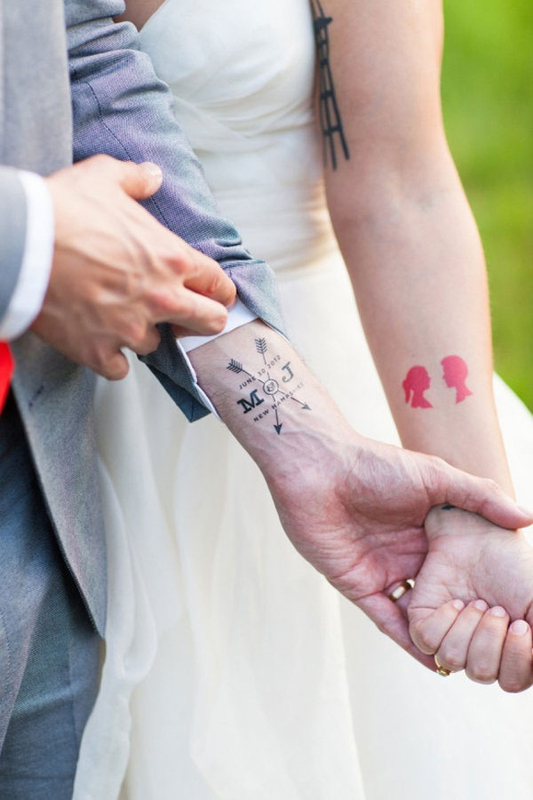 Which would you do: get real couples tattoo, get temporary tattoo favors for your wedding, or both? Let me know in the comments, and Pin your favorite idea!